This column surveys the present knowledge with regard to the motivation for work. First, it will be explained how the modern labour economics models the motives. Here the wage and the income are essential. Next some alternative sources for motivation are discussed, as presented in the human resource management. The results are compared with the happiness economics, as presented by B.M.S. van Praag. Finally, the marxist criticism is discussed. A previous column describes how the neoclassical paradigm wants to explain the supply of workers on the labour market. A hallmark is the absence of the pleasure and disutility of work in the models. The workers simply sign their labour contract, because they want to earn money, which can be spent on consumer goods. The number of working-hours is restricted, because the workers also value their leisure time. The totally available time is distributed at choice between the work and forms of recreation. The remaining time is needed for sleep and for household chores. The mentioned column describes the neoclassical model of the labour market in its simplest form. A somewhat more advanced version will take into account, that the consumption of goods itself also requires some of the available time1. In fact the valuation for leisure time in this model can also be interpreted as the sum of the pleasures or disutility of work, on the one hand, and the utility of recreation, on the other hand. For, in this manner for instance the situation can be modelled, where an individual finds more pleasure in his work than in the recreation. Such an individual experiences the leisure time as a burden. Therefore, the model still takes into account the job satisfaction, albeit indirectly. In the preceding columns it is discussed how Hendrik de Man and Rudhard Stollberg explain the job satisfaction. De Man shows how all types of work contain both sources of pleasure and of displeasure (or disutility). An individual, who behaves as a being which maximizes its utility, will try to increase the job satisfaction, and at the same time will minimize the disutility. And he indeed disposes of some latitude, because the labour contract can not be completely enforced, and besides does not describe all tasks in full detail. In the present column this theme will be studied from the modern economic perspective, notably by consulting the book Modern labor economics by Ehrenberg and Smith2. Due to the nature of the labour contract the workers and the employer can engage in an opportunist behaviour in order to further their own interests. The cause is among others the asymmetric relation of the workers and the employer, which is commonly called the principal-agent problem. For instance, in the scheme of De Man the worker will try to evade his monotonous tasks, and to concentrate on his challenging tasks. Conversely, the employer wants to maximize his profit, so that he tries to exploit the workers by increasing the work load. Therefore there is a conflict of interests within the enterprise, which requires negotiations. But the employer and the workers also share some interests, such as the future existence of the enterprise. Compromises are made on a regular basis. Usually the employer will take the initiative, since he controls the activities. He will try to increase his profit by stimulating the labour productivity (ap) of his workers. He must address the motives of the workers, which have been expressed for instance in the theories of De Man and Stollberg. The policy of the employer with respect to the workers is called the human resources management. In fact the theme belongs more to the labour sociology and psychology than to economics, so that it is a "white crow" on this portal. But previous columns have shown, that a reliable picture of reality can only be obtained by means of a multi-disciplinary approach. The human resources management addresses the hierarchy of human needs, which are clearly displayed in the pyramid of Maslow. The pyramid is described in the column about the social character of individual preferences3. When the employer succeeds in inciting the needs of the workers, then the labour contract is called self enforcing. The discipline of the workers increases. Then the employer can reduce the supervision on the performance of the workers. This saves costs. And conversely, the workers are motivated to such an extent, that they fully use their productive capacities. This augments the output and the cost-efficiency, with as a welcome consequence that a larger income can be divided between the workers and the employer together. And at the same time the quality of work will rise, and thus also the life satisfaction of the workers. The enterprise can influence three of the labour motives: the performance motive, the contact motive, and the income motive. The labour economics merely studies the income motive. However, here a short discussion of the two other motives will be presented. Incidentally, D.C. McClelland adds here the power motive, which incites workers to compete for leadership and to define their own group targets4. Motivation is a mental phenomenon, which is merely visible in the behaviour - or the worker must be asked for his motives. The pyramid of Maslow already shows, that people share many needs and desires. However, the intensity is different for each individual. Therefore, in principle the motives of each individual are unique5. Rational persons will be motivated to realize their own targets, and this stimulates them to engage in a certain activity. They hope to score a success or to obtain a reward, which may give a feeling of satisfaction. In the expectation theory of V.H. Vroom the additional demand is made, that the expectation of success is realistic. Otherwise the motivation would be weak. Incidentally, a small chance can be compensated somewhat by a very large reward6. Worth mentioning is the two factor theory of F. Herzberg7. Herzberg presents a similar table for work satisfaction as De Man. A large-scale opinion poll among workers allowed him to derive a weighing factor for both factors. Two groups of factors can be distinguished. The first group contains the maintenance factors. These factors are indispensable for the satisfaction, such as the wage level, the job security, and the company culture. They must agree with the feelings of justice of the worker. But they do not stir up motivation. The second group contains the motivating factors. The most motivating factors in that group are the performance, the job contents, and the responsibility. This is indeed logical, because such factors allow for the personal development. In this respect the two-factor theory is reconcilable with the pyramid of Maslow. It has already been stated for the theory of Vroom, that only the motivating factors contribute to an increase of the ap. In passing it is remarked, that here a distinction can be made between the individual productivity and the productivity of the group. H.W. Clarke and R.O. Peterson have a slightly different perspective on motivation8. They identify six factors, which make a job motivating: (1) knowledge of the production process; (2) presence of contacts; (3) diversification of tasks; (4) a certain autonomy; (5) good information; (6) opportunities for development. There are three options to improve the job in this sense. First, the number of tasks can be increased (enlargement). Second, the existing tasks can be made more complex (enrichment). And finally, the autonomy of the workers can be increased (goal oriented management). An interesting aspect of the human motives is their development with time9. In the United States of America the job satisfaction peaks in the seventies of the last century. Since, the satisfaction is falling. Presently, 80% of the American workers would prefer a more challenging job. Three trends are responsible for this change. Workers have raised their demands with respect to the job quality. Besides, they have become more versatile and flexible in their skills. And they long for a better balance in their lives, with satisfaction both at work and at home. Incidentally, this is a hallmark for the modern economy, and has also been observed in the former Leninist planned economies. As the achievement motive and the contact motive have been discussed succinctly, now the analysis of the income motive can continue. Thus the field of labour economics is again explored. The importance of the income motive is controversial10. It has just been stated, that in the study of Herzberg the income is not vital. But another study claims that 63% of the workers mark the wage level as their highest priority. Less importance is attached to the job security (53%) and recognition (40%). The income motive can certainly be strenghtened by using a smart compensation scheme. This requires a coupling of the reward to the supplied effort. Besides, the desired behaviour must be rewarded instantly, by means of a royal recompense. In this manner the costs of supervision can be reduced. The simplest form of an effort recompense is the piece-wage. It is interesting that Hendrik de Man is in principle also an advocate of the piece-wage11. Incidentally, he would have supported many of the present scientific ideas. It is almost as though the socialism has been realized within capitalism! 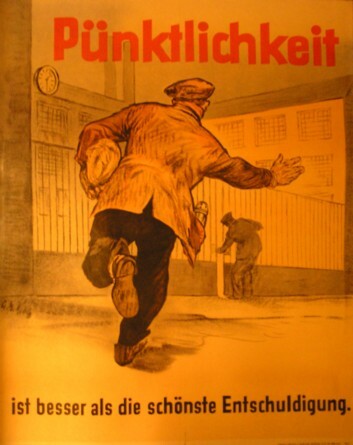 At the time, in 1928, the workers still disliked the piece-wage. It was an obstacle for their main goal, namely the reduction of the work stress and the labour intensity. The piece-wage has the problem, that it obscures the average income of the worker. In this way the enterprises dispose of a means to secretly lower the wage level. Indeed this often happened in practice. An ideological objection against the piece-wage is, that it undermines the solidarity between the workers. De Man advances the argument, that the workers are not very solidary anyway. A better argument is, that it may hurt the pleasant atmosphere. Another objection is, that the piece-wage may affect the product quality. Then additional costs must be made for quality controls. Also the equipment (machines etcetera) may wear out excessively as a consequence of the time pressure and neglect. Note furthermore, that the piece-wage makes it impossible for the enterprise to manage the size of the production. All these objections can be found in the book of Ehrenberg and Smith12. Nowadays the most important objection against the piece-wage is that the income risk is forced upon the workers. Since in general people are risk averse (see the column about the utility of money in risky investments), they demand to be compensated for that additional risk in their piece-wage. Then it becomes uncertain, that the enterprise will still benefit. For, the enterprise is better (and therefore cheaper) able to absorb the fluctuations in the production than the individual workers. In practice the enterprises do indeed often prefer to pay an hourly wage. When the wage is paid on the basis of the worked hours, then the supervisor determines the wage of his subordinates. An advantage of this method is, that besides the individual productivity other properties can also be rewarded, such as willingness to help etcetera. In addition to the supervision, the peer pressure is an additional factor for disciplining the parasites, the so-called free riders. A disadvantage is that the workers may prefer to create appearances instead of being productive. In an extreme situation the workers could sabotage each other. There are several possibiltieis to stimulate an increased effort by means of an hourly wage. One of them is the so-called efficiency wage13. The efficiency wage is somewhat higher than the wage, that is paid by other enterprises for the same type of work. Thus the enterprise can make a rigourous selection and engage the most productive workers. Moreover, the engaged workers will believe, that it is fair to work harder or longer than those in the other enterprises. Yet another manner to raise the motivation is the phasing of the reward. In this system the workers begin their career with a relatively low wage, but they do have the prospect of a relatively rapidly rising wage. When the total wage, summed over the entire period, is much higher than in the other enterprises, then this employer will still be attractive for the workers. The enterprise has the advantage, that the workers risk to lose their future gains by means of a dismissal, and therefore they will maintain their work discipline. Workers who are dismissed, are apparently not effective, and in principle they get what they deserve. It is clear that here the workers are exposed to risks, for instance when there is an untimely downsizing of the enterprise. Certain guarantees must be built into the labour contract in order to prevent this situation. Conversely, the enterprise has the unpleasant situation, that the older workers become rather expensive. They must leave at the appropriate time. A somewhat excessive form of this system is the so-called promotion tournament, where the top managers compete for the highest position. This is a winner takes all game, because the losers can not raise their former wage. Their willingness to participate in such a game depends on the chance, that they may win the tournament14. Finally the theory of the compensating wage differentials must be mentioned again. She has been discussed previously in the column about external effects in jobs. Workers have certain individual preferences and needs, and they try to find an employer, who can satisfy them. The workers are willing to adapt their wage demand accordingly. Conversely, the employer will prefer to hire workers, who sympathize with the enterprise, because this will reduce his wage costs. In the past decades a new branch of economics has emerged, namely happiness economics. The branch has the ambition to measure the human satisfaction, and therefore utility. The book Happiness quantified is one of the most intriguing works, that have been published recently by Dutch economists15. In this book Van Praag summarizes the population studies, which he helped to start and analyze during the past forty years. The subject is the human satisfaction in various areas or domains, including their relative importance. In the preceding columns it has been explained that for this purpose he applies the probit method, in an ordinal and a cardinal version. Moreover, in the income domain two indices are available, namely the income satisfaction question and the income evaluation question. In spite of the unique nature of the human motives it turns out that the income satisfaction still depends in a universal manner on certain variables, such as the height of the income and the family size. That is to say, the model gives insight into the social feelings. Thus in the book the most important factors of satisfaction in the job domain are reported16. The data originate from the British household panel survey (in short, BHPS), and the analysis concerns the year 1996. The probit method is applied in its ordinal form, which is a pity, because then merely the universal trend becomes visible but not the individual spread. The individual satisfaction is measured both for the job as a whole, and for various sub-domains, namely the wage, the contents, the future perspectives, the supervisor, the job security, freedom, and the working hours. In the formula 1 each of the quantities αj has the same value for all individuals. The term Y(n) represents satisfaction factors, which are not contained in the seven mentioned sub-domains. The table 1 gives the values of the αj, which are found for the data collection BHPS in the year 1996. It is clear that the contents of the job is most important, followed by the wage and the quality of the supervision. This supports the idea, that the wage is not decisive for the job satisfaction as a whole. Another intriguing theme is the importance of the job satisfaction for the general satisfaction with life. This has also been studied by means of the data of the BHPS set17. In this analysis eight domains are selected, namely the satisfaction with the job, income, housing, health, leisure activities, leisure time, marriage, and social life. The table 2 presents the values of the αj, which have been found for this case. The tabulated values concern merely the active part of the population. It is apparent, that the social life and the job are most important, followed by the leisure activities and health. This confirms, that the workers prefer a balanced life. The table also reveals the sub-domains, that must have the highest priorities in politics. Although Van Praag does not himself attempt to interpret the social relevance of his results, his book does contain a wealth of information for such an endeavour. A fascinating factor for the social development is the possible harbouring of a class conscience by individuals. See among others the column about historical processes. The table 2 suggests, that at least in the western states the once dominant class structure has become blurred. People shift their attention to personal factors such as health and leisure activities. A somewhat different manner to study the class conscience has already been suggested in the column about the scaling of the income satisfaction. The cardinal method of scaling supplies information about the individual spread in satisfaction, that is to say, about the individual deviations with respect to one's own class. That column uses the data from the German socio-economic panel survey (in short GSOEP). The participants have expressed their income satisfaction as a natural number on the scale of 0 to 10. So there are eleven categories of satisfaction. Consider again an individual, which is single (G=1) and receives a monthly wage of Y = 1600 DM. The analysis shows, that this individual belongs to the satisfaction category 5, and thus is "sufficiently" satisfied, on average. It has just been mentioned, that in the cardinal method also the individual spread of satisfaction is known. The figure 2 illustrates, how the satisfaction T of the (Y=1600, G=1) groups is distributed over the various categories18. The reader may observe that 22% of the group indeed supports the "group" conscience T=5 (to be precise, T lies between 4.5 and 5.5). But another 6% of the group attributes a very low value to T (namely between 1.5 and 2.5), whereas a similar fraction of 6% reports a high value for T (between 7.5 and 8.5). The figure 2 shows clearly, that the group of workers with G=1 and Y = 1600 has different opinions about their own situation. A similar calculation can be performed for all types of households, and yields similar results. In short, the individual differences are so large, that it is impossible to unite socially similar groups for advancing a certain interest. There is no longer a homogeneous proletariat, nor an old middle-class or bourgeoisie. It is clear, that this frustrates organizations such as political parties or trade unions, which try to propagate a certain collective interest. For, it is not clear, which social groups are attracted to that interest. And it is almost impossibe to find groups, that will support a political programme (that is to say, a package of interests). Here it must be remarked, that this conclusions is only valid for the western states, where the study has been done. The economist Spencer criticizes in his book The political economy of work both the labour economics and happiness economics19. He complains that both economic currents portray the worker as an isolated individual. Spencer argues that in reality there are many social and cultural factors, which affect the satisfaction of the worker. A theory, which considers merely the individual, will overlook these factors. According to Spencer the workers are not free to choose their own job, because there is a permanent unemployment. The workers seldomly succeed in maximizing their utility and finding the ideal job. Since the workers are forced to accept a job, irrespective of its content, their motives are severly constrained by the circumstances. The worker does not have sufficient control over his work. That undermines the theories of the efficiency wage and of the compensating wage difference. Unemployment is a structural problem within capitalism, and therefore its analysis requires an institutional approach. Here use must be made of the insights from the sociology and psychology. The relation between the employer and the worker is characterized by a structural conflict, and therefore the compromises and solutions must also be realized by collective associations. Furthermore, Spencer believes that the participation in creative activities is an objective human need. The work in the enterprise is the natural place to satisfy this need. The quality of the work can be equated to the possibilities for engaging in creative activities. Quality labour satisfies by definition. In other words, the performance motive becomes dominant, according as the workers become free in their job selection, and are no longer disciplined by the "whip of hunger". Then the employer is no longer obliged to stimulate the motivation of the workers20. Spencer refers to the ideas of Karl Marx. In capitalism the worker remains alienated. The loyal reader will recognize this argument from the column about the attitude towards labour, which explains the view of the Leninist sociologist Stollberg. Your columnist is tempted to comment, and agrees that the argument of Spence makes sense. However, it must also be acknowledged, that since the era of Marx the labour relations have improved significantly. At least in the west the workers do have a certain freedom of choice. Furthermore, due to the evident individualization the collective organization gets into problems. For instance, collective agreements experiment with à la carte systems. And finally the disappointing experiences have damped the optimism about the natural rise of the productivity for "liberated" workers. Therefore the criticism can not be justified with a simple referral to the view of Marx, and this would not be in the dynamic spirit of Marx himself anyway. The pyramid of Maslow does not belong to the field of economics. She does not appear in the economic literature, not even in books about managerial economics or labour economics. This "blindness" is actually strange, because especially the neoclassical paradigm relies on the human preferences and on the human utility. Perhaps this phobia of economists for other, more liberal disciplines causes this self-restriction? The economists love clear and transparent causal relations, and abhor "woolly" arguments. Besides, economics must prove its value as a separate discipline with respect to the other social sciences.